A redundant church that was built to serve a long-vanished village, St Mary's stands within a belt of trees beside the A41 Aylesbury road. The church dates to the 12th century, though it probably occupies a site of an earlier church. The church is a simple building, consisting of only a nave, chancel, and south porch. The interior retains much of its medieval charm, with a lovely 14th-century chancel arch, and a 15th-century timber roof to a queen-post design. The roof was hidden for many years and was only exposed during Victorian restoration work headed by Sir George Gilbert Scott, one of the 19th centuries great architects. The church retains its medieval font. One historical association is worth noting; shortly after John Wesley was ordained as a priest in 1725 he is known to have preached his first sermon at Fleet Marston. 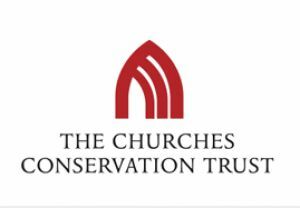 The church is no longer used for active worship and is preserved by the Churches Conservation Trust.